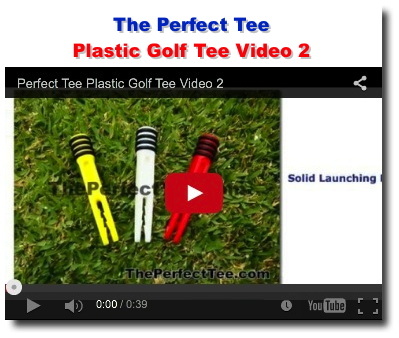 Plastic Golf Tee Accessory Improve your game! 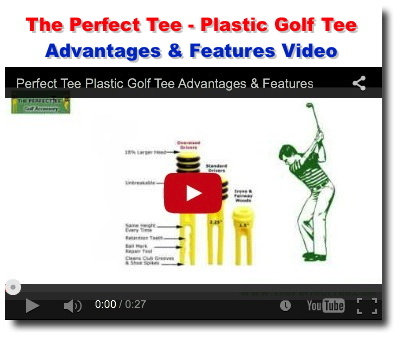 Details specification on The Perfect tee and why it "makes a difference". 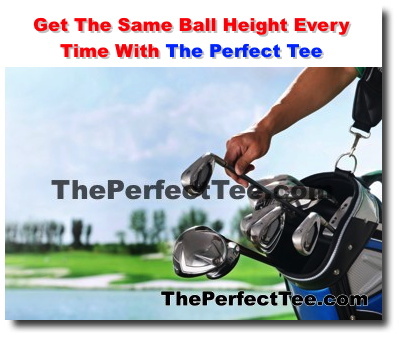 Instructions on how to use the Perfect Tee golf tee. View testimonials from professionals and happy customers in their own words on how their game has improved using the Perfect Tee Golf Tee. The Perfect Tee Is The Perfect Gift! 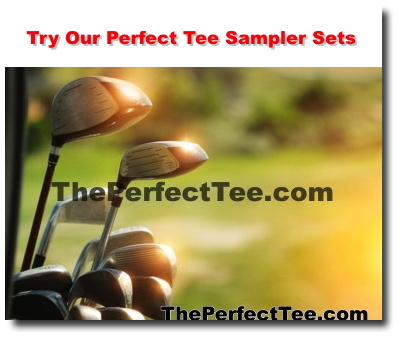 Advertise your business while helping someone play better golf with the Perfect Tee! 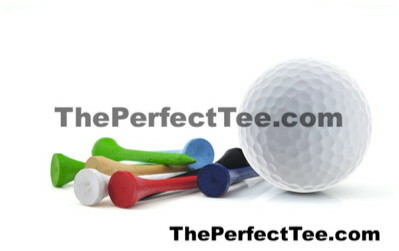 The Perfect Tee plastic golf tee is a great idea for brand identity programs and corporate events! 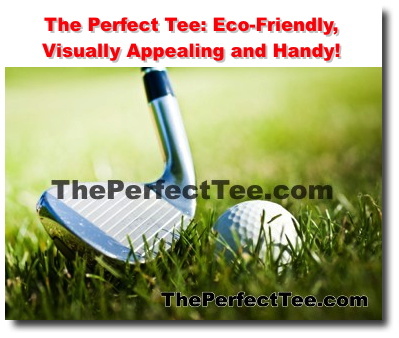 The Perfect Tee Plastic Golf Tee: Eco-Friendly, Visually Appealing and Handy! The Perfect Tee is visually appealing with its unique, solid, upscale, and high tech appearance. It is also virtually unbreakable because it is made of super-strong aero-space composite material. Making sure your ball position is correct is an important part of the game. 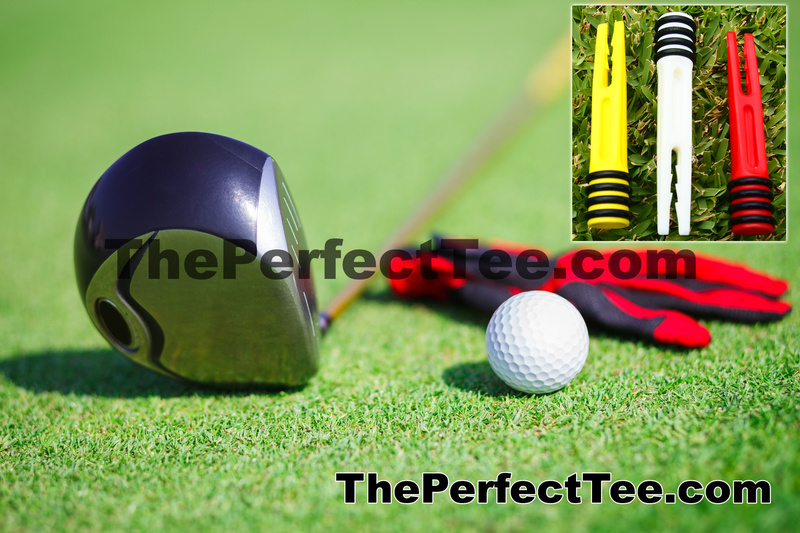 Our 3" Perfect Tee, plastic golf tee is a great tool for any golfer. 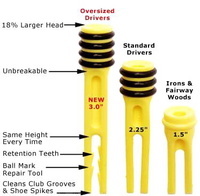 Its cost over multiple hits is much lower than a wooden tee because it won't break. This brings overall savings, especially to long drivers. By slanting the Perfect Tee either forward or backward, you can get your preferred trajectory. If you prefer an oversized driver head or would like to tee the golf ball up high, try our 3-inch Perfect Tee, plastic golf tee. With long drives, golfers can considerably shorten the longer holes on a golf course and the Perfect Tee, plastic golf tee is a great tool for long drives. 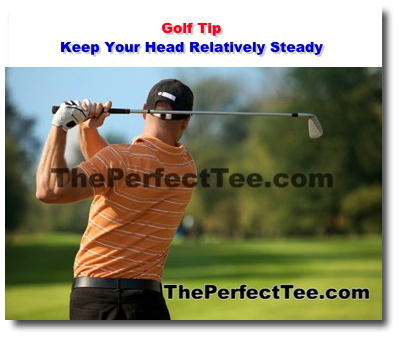 Did you know that the average PGA Tour golf player moves his head only one inch during the swing? They are able to keep their head steady and therefore are able to see the golf ball without relying too much on peripheral vision. Photo Gallery of plastic golf tee related images. 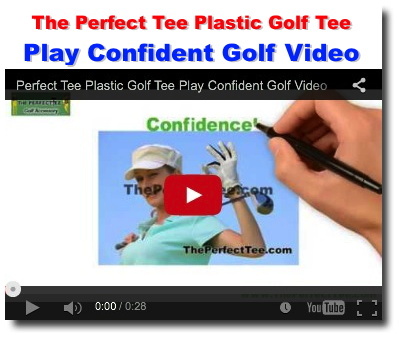 GolfTest USA Ranks The Perfect Tee as top performer! Coupons and gift certificates for our loyal customers. 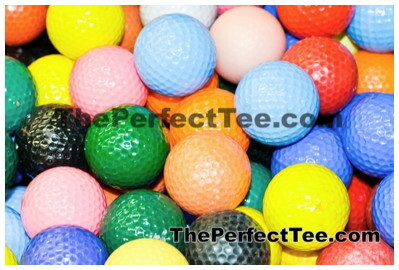 The Perfect Tee Plastic Golf Tee Is Good For Golf Courses! Apart from helping you play better golf, the Perfect Tee is a friend of any golf course because it helps eliminate debris on the tee box. 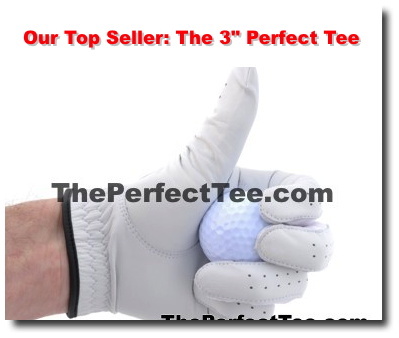 Repost of link GolfTest USA Ranks The Perfect Tee 1st! Copyright© 2001 - 2019 AAA Quality Services of Hawaii. All rights reserved.